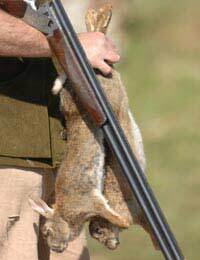 One skill you need to master in order to survive is hunting, trapping and killing of animals. Over long periods, their meat can help to keep you alive. In order to get to the meat, however, you need to learn another skill - how to skin an animal. When you’ve done that, apart from the meat, you’ll also have the animal’s skin, and you can use it to ensure none of the animal you’ve killed is wasted. It can keep you warm if made into clothing, or can help to build you a shelter. Apart from removing it from the animals you’ll also need to know how to cure it. There’s an art to skinning an animal. You want to get as much of the meat as possible, and also have a complete skin that you can use later. Begin with the dead animal on its back. You need to take your knife, having sharpened it, and make a single cut that goes from between the hind legs all the way to the neck. When you’ve done this, use you’re fingers to part the skin from the membrane under it at the bottom on the cut. Insert the knife blade and then cut upwards towards the neck. You’ll need to exert some force over the ribs. Make a cut along the inside of each leg to the point where it joins the centre cut, and then cut the skin all around the neck. From this point you’ll slowly and carefully be able to remove the skin in a single piece. With the skin removed, allow it to cool. Once that has happened, it needs to dry completely. Ideally, you should be able to salt it, but that’s unlikely to happen out in the wild. Give the hide ample time for drying, at least one week and preferably two. When dry, soak it in clear water, such as in a stream, until the skin softens, and then lay it out with the flesh side down. Hanging over it a rock is ideal as you’ll be able to move the pelt back and forth over the edge to loosen the fat in the flesh. Warm some water over a fire and add the pelt, if you can (if not, pour the water over the skin). Then you need to place the pelt, flesh side up, on a smooth surface. Use the back of your knife on the flesh. This will remove the dirt and all the fatty tissue. Rinse again and gently squeeze out the water. Depending on the use you intend to make of the skin you might want to remove the hair from it. Given that you won’t be able to obtain commercial ingredients, what you should do is weigh the skin down with rocks in a fast moving stream. Water, and some time, will remove all the hair. Check the skin regularly and once all the hair has gone, remove the pelt and leave it to dry. If possible, you should attach it to a frame, keeping the skin stretched, until it dries completely, after which you can use it. The hide isn’t tanned, but you can get by using it without the tanning process.